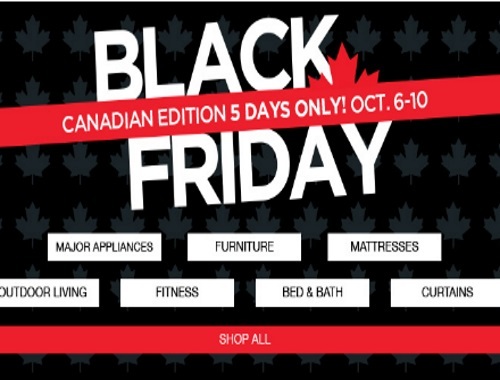 Sears' Canadian Black Friday is on now! For 5 days get deals on major appliances, furniture, mattresses, outdoor living, fitness, bed and bath and more! Offers are valid October 6-10, 2016 only.